Four years, later they are back again, this time seeking an additional $5.8M loan from First Caribbean International Bank (Cayman) Limited. The loan is being requested for, “funding the interest and net swap payments for the amount of $2.1M” and the purchasing of port equipment, in the amount of $1.7M. This is addition to guaranteeing of a Line of Credit from the Bank, in the sum of $2M. The resolution is on the Order Paper for the September 13, 2018, Sitting of the House of Assembly (HoA) and will be brought by outgoing Premier and Minister of Finance, Dr the Hon D. Orlando Smith (AL). According to the resolution, the government thought the HoA is been asked to guarantee the loan, if the BVI Ports Authority default on the payment. The Ports Development Project now called the Tortola Pier Project has been over shadowed by controversy and allegations of corruption. I thought they said Ports wasn't broke. When you have to secure a loan to pay the interest on another loan you're in trouble boys. Then again you don't care or can't figure it out. Most likely both . Locals destroy this place. The world see we as a rich greedy and corrupt place, Hence the reason why banks are reluctant to give us loans when locals have to manage their money.. There is no trust no confidence in Locals.. Soon all department will be headed by foreigners as a bank / loan requirement.. Greed and selfishness have curse this place.. 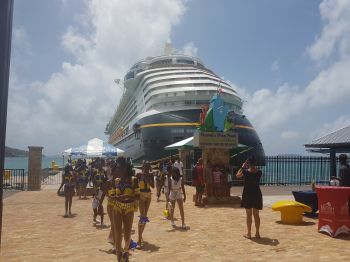 I thought Minister Vanyerpool who is the Minister of the Ports said that in 2016-2017 the Ports made $70million from the Cruise Pier expansion initiative so how come they are now looking for a loan? Something doesn't add up here. The answer high salaries. In 2015 the Ministry received a report of the salaries at the ports and we gasped with surprise. It was not wheeled and they are allowed to continue hiring people to add to the burden. The HRM lady was asked to provide this information and was reluctant because she knew they would be found out. The Opposition needs to conduct an Audit not only on TPP but on Port also. The Board approved them. The managing director own goes to cabinet. We on a roll now. Mouth open story jump out. MCW tell us who purchase the equipment like the air conditioning unit them at the TPP and who the contractors was and equipment worker them. Time to stop the nonsense and promote our people to those top level positions. These politicians go out to other places and bring people to fill top management positions. Then they borrow money from the banks so they can be paid big salaries. 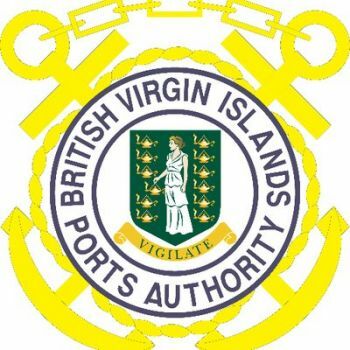 The money leaves the territory but Virginislanders dollars have to pay the loan.. Do we need a St. Lucian to head our port.? What happen to the people who were carrying the load all the time? First we need to prevent non Virginislanders having a seat in the House of Assembly.Those without Virgin Island parentage should be at least second or third generation to be political leaders.